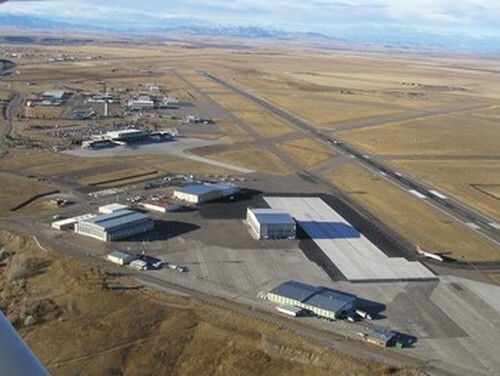 Welcome to Holman Aviation, a full service FBO with operations at the Great Falls International Airport in Great Falls, MT. We are proud to offer a variety of services such as, competitive fuel pricing, a comfortable pilot's lounge, state of the art flight planning room, rental cars, catering and much more. Although Holman Aviation provides competitive fuel pricing, it's our unparalleled service that sets us apart from other FBOs. Whether it's giving your aircraft a quick turn or assisting customers with a longer stay, Holman Aviation's staff provides our clients with prompt and courteous red carpet service. Founded in 1950, Holman Aviation serves commercial, general, corporate and military aviation. An ideal stopover on your flight plan, our location right off Runway 21 is easy to access, offers plenty of parking, room to maneuver and located close to United States Customs. Professionally trained and experienced, our flight line personnel are NATA Safety First trained and certified and are on hand to greet each incoming aircraft, available to assist clients with any services they require 24 hours a day, 7 days a week. No matter what the special need, each client is treated to the highest level of personal care.